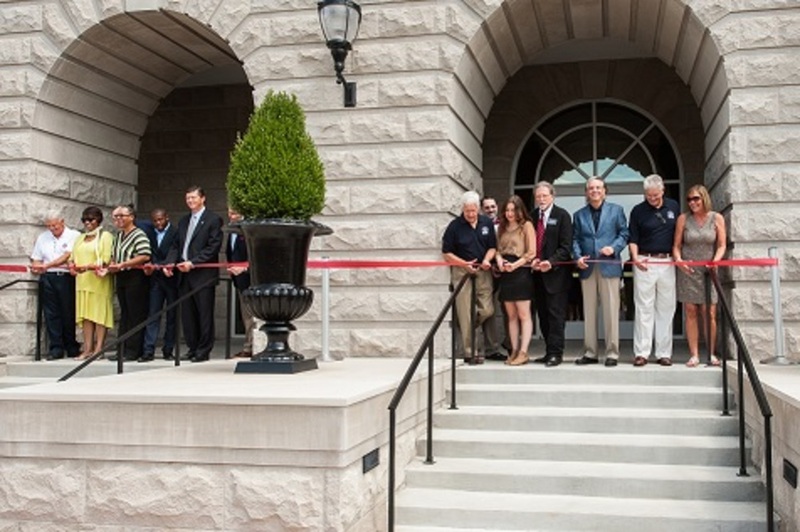 Following the afternoon ceremony, Belmont University officially cut the ribbon to celebrate the grand opening of a new multi-functional complex to serve its growing student body. Named in honor of longtime trustee and Bridges to Belmont Endowed Scholarship creators, the new R. Milton and Denice Johnson center will house the Curb College of Entertainment and Music Business, the media studies program and a new 950-seat cafeteria. Designed by Earl Swensson Associates (ESa), the $87 million, 134,000 square foot Johnson Center boasts $3.6 million in technology resources and specialized equipment to serve students majoring in entertainment industry studies (EIS), music business, audio engineering technology (AET), songwriting, motion pictures and media studies. With multi-functional spaces offering classroom, lab, performance, production and research options, the new building is designed for interdisciplinary collaborations among the programs. A main feature of the new academic center is the 300-seat chapel, the first-ever intentionally designed chapel space in the University's 124-year history. The Chapel will host services three times a week during the fall and spring semesters, as well as special services throughout the year. The impressive two-story layout includes arched, double height clear glass windows on the exterior that are mirrored on the interior and a veiled by a layer of art glass. THe space is also equipped with state-of-the-art audio visual capabilities that are fully integrated into the design so that the Chapel can be a multi-functional venue.